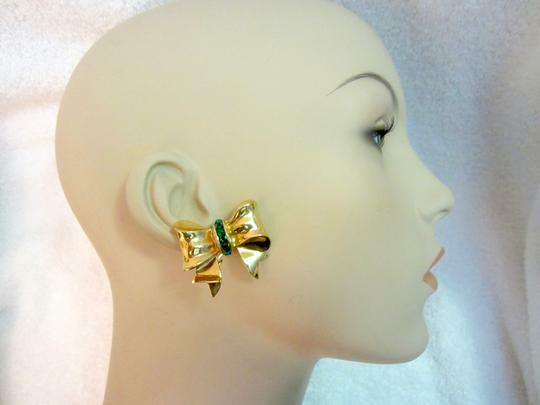 Truly stunning, high end, bow style earrings. 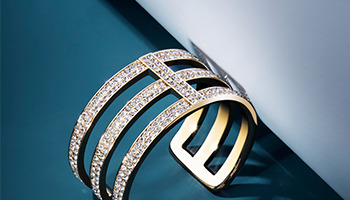 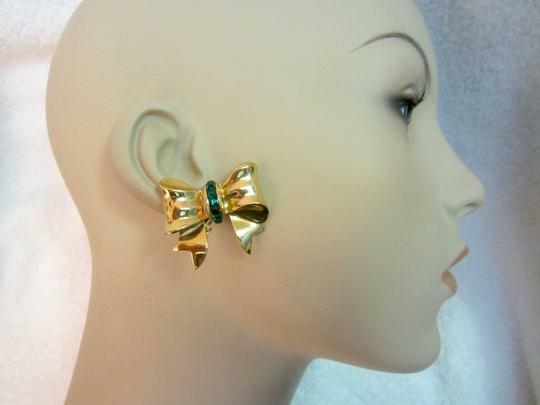 Gold plated with lively green crystals. Clip back. 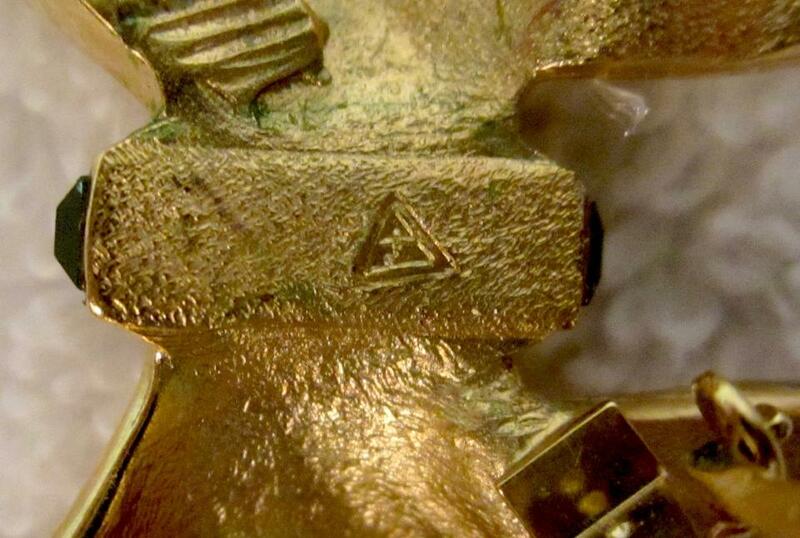 Signed with symbol. Pictures taken with and without flash. 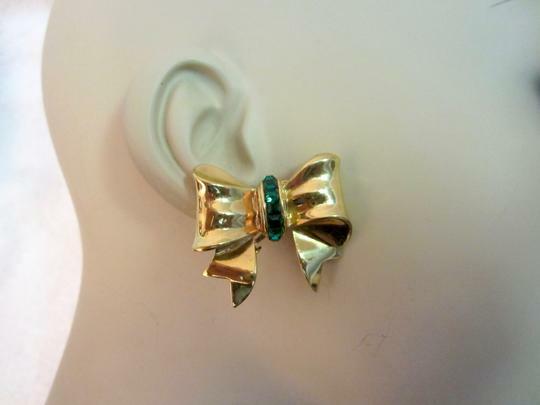 Approximate measurements: 1 1/4" x 1.5". Beautifully made, high end, comparable quality to Ciner and Dior. 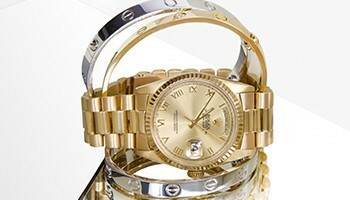 Superb condition! All stones intact, secure clip backs, nicely plated. 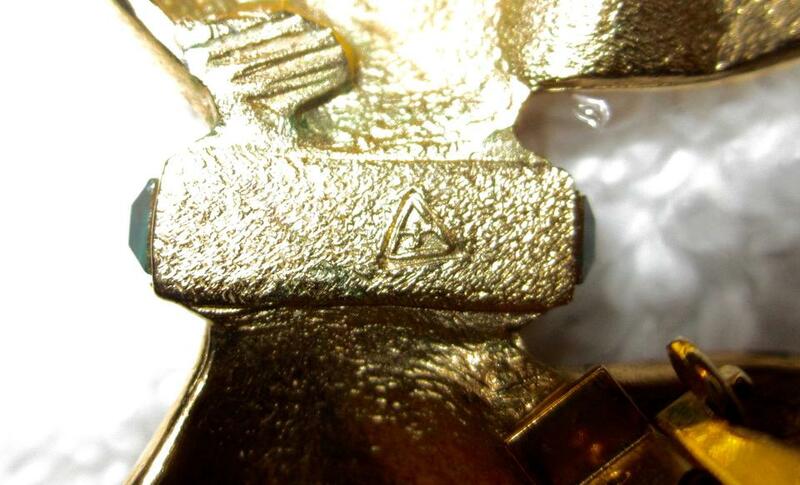 Note black marks on metal you see are reflections when flash is not used. 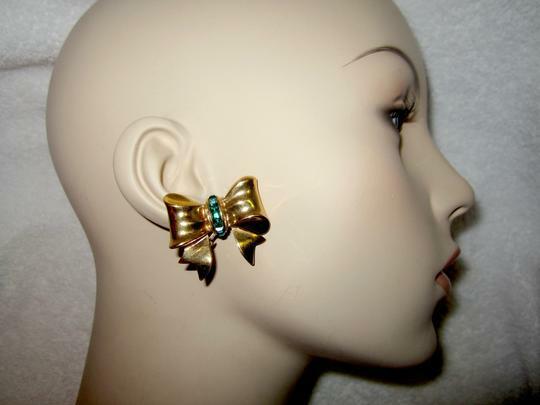 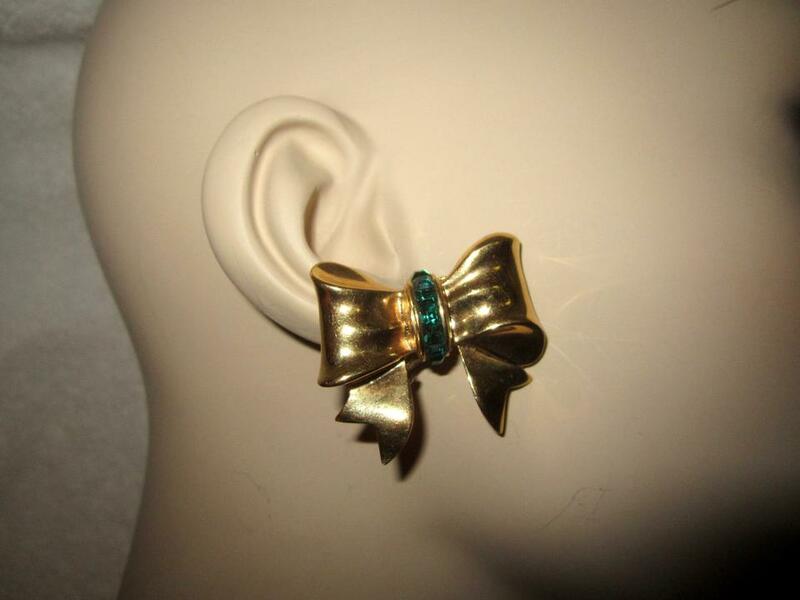 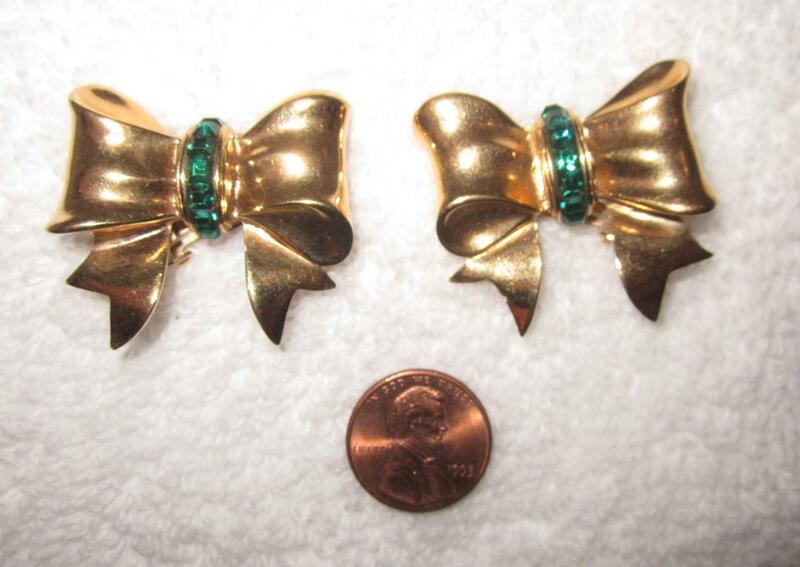 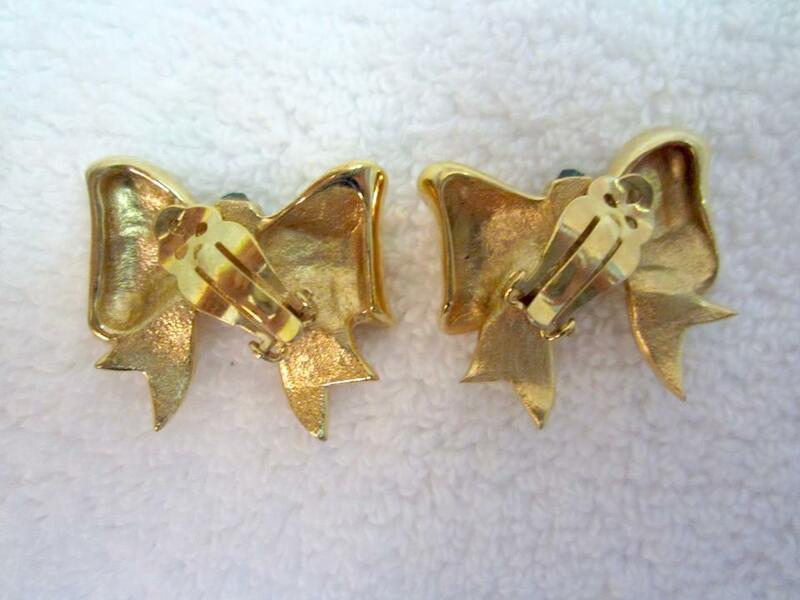 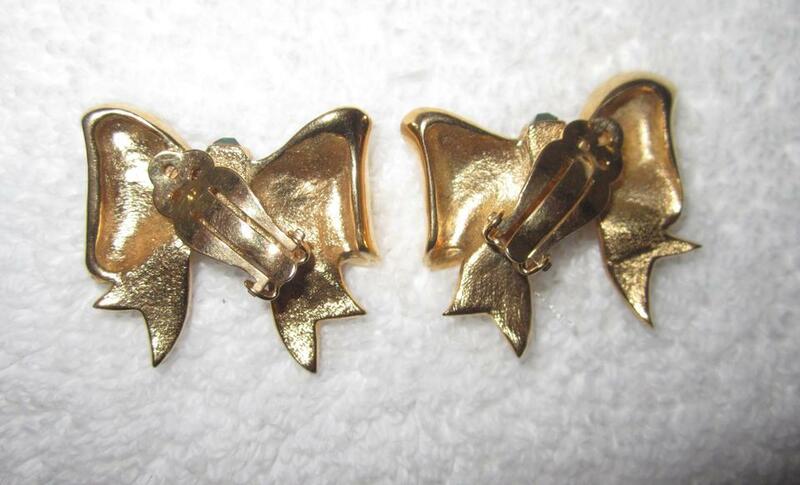 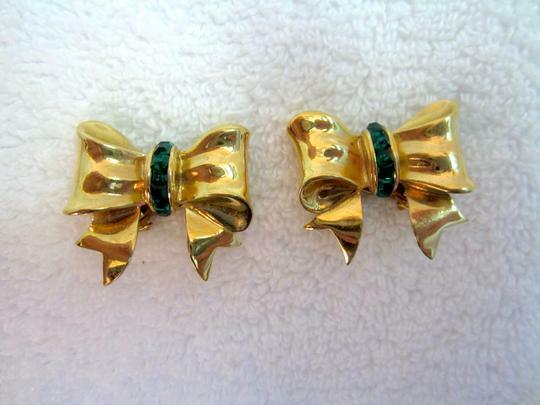 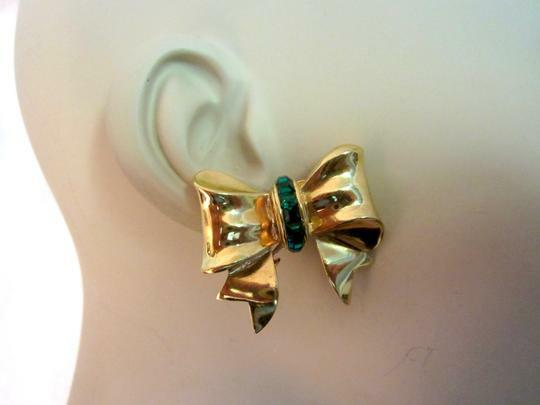 Bow Clip Earrings Gold Plated Green Crystals Vintage Signed --Superb!